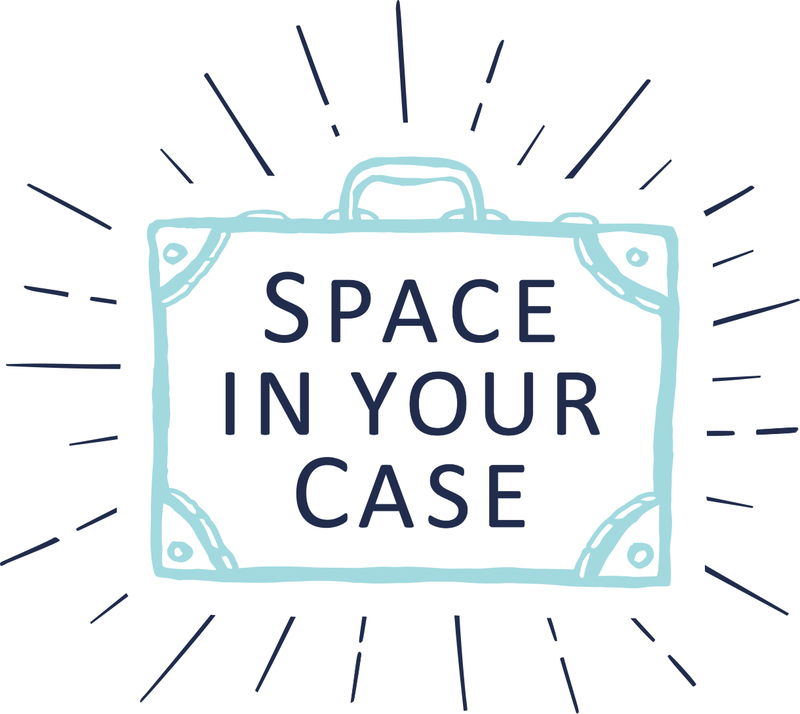 Around this time last year, the Space In Your Case team (meet us over here if you don’t already know us!) wrote about where we’d like to travel to in 2015. Alison said she wanted to go to Disneyland Paris with her family, Helen vowed to go on a long-haul ski trip, Penny said she wanted to stay in more unusual venues in the UK and Katie dreamed of taking her daughters to New York in the summer. We might not have ticked off all of our travel plans, but we had a good try! Now that we’re into 2016, we’ve got a whole new year of travel plans to make. Like most of the UK, the end of Christmas combined with the wind and rain are making us long for some sun and dream of far-flung destinations. Florida is up there, for me this year. We didn’t make it to Disneyland Paris in 2015 (which was one of the places on my 2015 wishlist) and now that my daughter is five, it’s the perfect time to head to Disney World and everything else that Orlando has to offer. I have such amazing memories of going to Florida as a child, and teenager, and I’m so keen to revisit with my own family. One area of Europe that I haven’t explored is Scandinavia – I’d love a weekend break to Copenhagen or Stockholm. In fact, I’d love to do more European city breaks in general. I did lots of them before I became a mum, from Tallin and Prague to Barcelona and Berlin. and it would be great to start again, either with my daughter or leaving her with grandparents while we travel as a couple. I’m so curious about cruises. Have they really come a long way since they were the holiday for retired couples? I hear so many good things about them, the facilities for families, the childcare, the food, and the ability to explore so many places in one holiday. I’d love to make 2016 the year that I discover family cruises for the first time. My 2016 Travel Resolution Is…. To make more travel videos. In 2015, I taught myself from scratch how to film and edit video, which was a huge achievement. I’m not a natural in front of the camera (and I don’t film – or photograph – my daughter which makes it a challenge!) but I’m keen to build on the skills I’ve learned and make more travel videos. I want to explore the UK a bit more in 2016. Last year we travelled on a plane far and wide, but this year I want to be all about the mini break as we come to terms with the fact we have to abide by school holidays! I would love to go down to Cornwall at some point as it is one of my favourite places and we haven’t explored there much as a family. But Brighton, Yorkshire and Norfolk are on my list too. I don’t want a newborn baby to hold us back from travelling abroad, even though the thought of travelling with three children under five quite frankly makes me a little nervous. Travelling is such a huge part of our family and I don’t want that to stop because we have a little person arriving. I want to try and get on a summer holiday abroad during the school holidays. I like the idea of going somewhere where it is easy and relaxing, perhaps one of the Mark Warner resorts or somewhere where everything is taken care of. I would love to go back to Amsterdam later in the year once we have had time to settle in as a family of five. Having been to Amsterdam a few times without children, we were blown away by what a wonderfully child friendly and colourful city it was when we visited in late 2014. I would love to go back there for a long weekend, perhaps in the autumn when the city comes alive with colour. To prove that having a newborn baby (when he arrives in April) and a larger family (3 children) doesn’t mean that you can’t travel and have adventures. 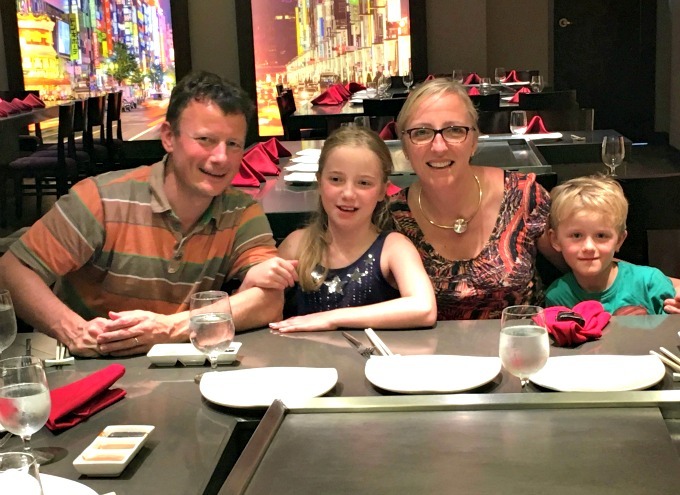 A lot of hotels and holidays are catered for families of four or less, but I am determined to seek out amazing places that cater for families of all sizes. Road trips are high on the agenda for us. 2015 was the year we sold our caravan, but we’re keen to explore travelling in a rented motorhome in 2016. We’re hankering after the freedom we had with our VW Camper when the kids were small, but more confident that campervanning will be easier to manage with a 7 and 9 year old than a 0 and 2 year old. After falling in love with Edinburgh, we want to go higher, to the Scottish Highlands and Skye. I said it last year too, but I can feel the big American or Canadian road trip getting closer. Nature and covering lots of ground makes me incredibly happy. Last year I absolutely knocked off my goal to discover more of England, but there are always new places to go. Leafing through my Visit England calendar, I remembered all the good things I had read about the Isles of Scilly, the islands of the British Isles fascinate me. Seeing glorious Chatsworth has reminded me Mr A and I agreed we should spend next New Year in a cottage in the Peak District. Holidays can spark so many feelings, and I’m keen to design some time for complete rest and relaxation to complement adventure and sightseeing. I would love to return to a Sensatori resort, perhaps in a new location, to tick off my need to feel I am seeing more of the world, but with my family this time. Sensatori Fethiye ticked all my boxes as a resort holiday: a resort that stimulates all the senses, imaginative activities for children, relaxing excursions and exceptional value. My 2016 Travel Resolution Is….I’m reading (another resolution…to read more) The Art of Travel by philosopher Alain de Botton, this year I am spending time reflecting on my experiences in 2015 in order to shape my experiences of travel this year – travel with friends, my husband, as well as my lovely family. I also want to tell more stories, share more of those little moments that bring a trip to life. On Christmas morning I opened the most wonderful gift from my husband. Lonely Planet’s Ultimate Travel List ranks the top 500 places to visit, and I’ve already spotted some gems that are going to make my new travel bucket list. At number 6 stands the Grand Canyon National Park. I’ve never been, and it fits with my dream of exploring some of America and Canada’s incredible open spaces with my family. Also under my Christmas tree was a voucher to spend on a weekend away in a Coolstays property, and the suggestion that we choose an incredible-looking treehouse at West Lexham in Norfolk. Having a husband who facilitates my love of travel-writing is a lucky stroke, and I have to give him the credit for finding Coolstays, a site full of qirky properties with special touches. Something tells me we’ll be staying in more than just the treehouse over the next few years. I have a rather large birthday coming up. Where previously I might have thrown a party, or blown a fortune on a posh dinner, this year I’m taking my family away, and we’re all excited about going somewhere special. New York is my choice, and we’re enjoying making plans for that. If you have any particular tips, I’d love to hear them! My 2016 Travel Resolution Is…. to relax! Travelling with children can be hard work, especially if you have children with differing interests and needs. Last year we took Type 1 diabetes with us too, and that’s like taking a whole extra passenger. I have some (retrospectively) funny stories about meltdowns at airport security, and dealing with my daughter’s tendency to get locked in foreign toilets without sugar! But we’ve done it now several times, and I know we can handle anything. The key to successful family travel is in preparing for all eventualities, and learning to relax about unexpected events. Beaches Resorts was the perfect place for me to switch off completely and reflect, and now I know how, I’m going to totally immerse myself in my future trips and delight in discovering new cultures with my children. Where would you like to travel to, in 2016?